5 Bedroom Detached House To Rent in Bracknell for £3,500 per Calendar Month. 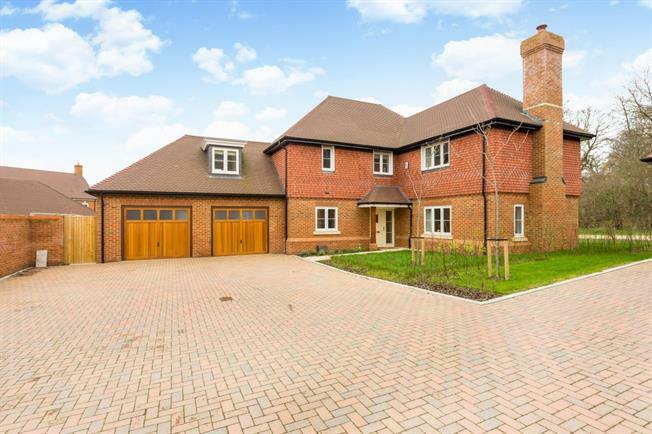 Located in a beautiful country park setting is this wonderfully presented brand new five bedroom detached family home built by renowned builder Berkeley Homes and is arranged over two floors. Having been completed to a very high standard throughout, this wonderful family home offers flexible family living space and well-proportioned bedroom accommodation. Upon entry to the property you will immediately notice the spacious entrance hall with access to all principle reception rooms including an open plan kitchen/breakfast room offering a range of fitted appliances and bi fold doors opening to the private garden and a separate utility room. The main living room boats double aspect windows with views over the woodland and a gas working fireplace. The ground floor also offers a cloakroom, study and dining room. To the first floor there is an impressive master bedroom suite with dressing area along with four additional bedrooms two which have en-suite bathrooms and a family bathroom. Externally to the front of the property there is a generous drive for parking along with a double garage and to the rear a private garden with patio area perfect for Alfresco dining. This exceptional family home is situated in the new Woodhurst Park Development and offers excellent rural views of the surrounding parkland.